I printed this and hung it in my office. 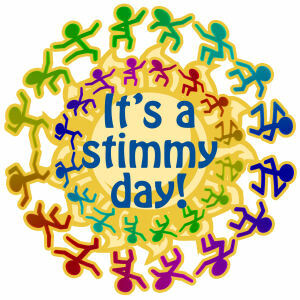 At work, a lot of my days are “stimmy” days. Stimming is a term used for self stimulation, something we Aspies know well. Stimming can include behaviors such as rocking, talking, making noises, hand flapping, slapping (own legs, face, etc.) and any other number of other things. It is a way to manage overstimulation. Today I am chewing gum, lots of it. Chewing gum helps to keep me from more disruptive stimming. I have a lot of thoughts in my head that are troubling me. Some things are going on in my life that are upsetting. My husband is great, but sometimes I wish I had a friend to talk to, a female friend. But I don’t so I just do what I can. I rely a lot on my husband, but sometimes I am afraid it is too much. He never says anything and he is always loving, understanding and tries to help me. But I still worry. Sometimes a thought will get into my head, my brain and it will get stuck. All I can do is keep asking questions and talking about it. Usually it is an upsetting thought or a worry like someone rearranged the furniture or someone I love is ill. When this happens, my brain feels like it is clenched, like there are gears in there that are grinding like a machine that is locking up. I feel locked up. My head starts to hurt and it is hard to breathe. I feel trapped by the thought, stuck. My head and throat feel tight and all I can think about is that one thought. I feel helpless, frustrated and scared, out of control. I want to run away, get away, go far away. But I can’t run from my brain. Wherever I go, it goes with me and so does the thought. The only way to change it is with my anxiety medicine (which I HATE) or for someone to redirect me. Sometimes prayer works, but often I can’t focus right to pray about it, I wind up repeating what is in my loop. Sometimes, though, I can pray and ask God to break my loop and He does. Other times I just say “Praise God” or “Thank You Jesus” over and over until the loop breaks. 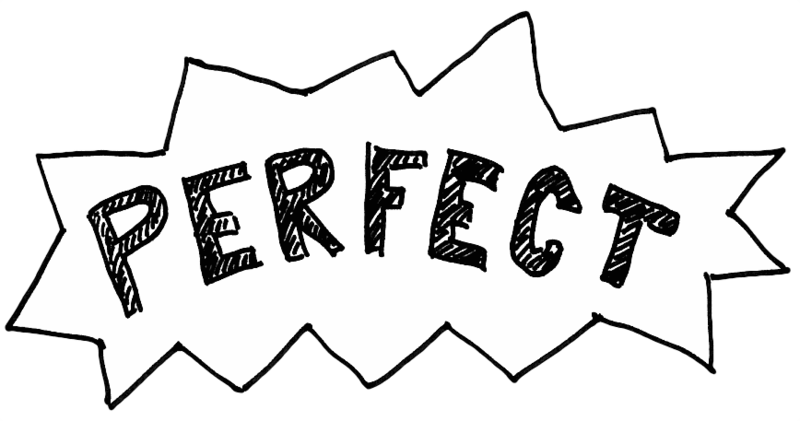 But it is better when someone redirects me. I guess we all need help sometimes, otherwise God wouldn’t have made us so dependent upon each other. I think needing help and receiving help from someone strengthens the bond between those two people. I think this is especially important for Aspies because a lot of times we have trouble really bonding with others. My husband and I have actually bonded and are much closer because of my Asperger’s and all of its quirks. Funny how God works like that. My husband is very good at redirecting me. Redirecting is like changing the channel in my brain. But when I am in the loop, the channel is stuck. He redirects me by saying something to make me think thoughts that are totally different from my loop thoughts. Say I am looping about my office being repainted. He will say something to make me think about something else, usually something I am very connected to like computers, software, neuroscience or philosophy. He will ask me a question or show me something or ask me to show him how to do something on the computer. And, click, the channel changes. He helps a lot because he does not get frustrated. Sometimes he will tell me, “You are in the loop. We gotta get you out of it.” Then he says something to change the channel. Sometimes if it gets really bad, though, I have to take my meds – but I only take half. I don’t like that fuzzy, drowsy feeling. There is another medicine I took some time ago, but it gave me “brain zaps” (feelings that my brain was getting an electric shock). So I quit that medication. I don’t like taking anything that is going to alter my perception or ability to function. Stimming helps and redirection helps. Do you ever get in the loop? What does it feel like to you? How do you manage it? I Always Fit Perfectly in God’s Family! Somedays I feel like I am in a world that doesn’t quite fit, like shoes that aren’t quite my size. I can still get my foot in them, but they pinch and hurt and are uncomfortable. That is how it feels a lot of the time here. Somedays I feel like they (the NTs) are the aliens, but then I look around and see this world that feels like a hologram and I realize that I am the alien. I walk past people and they look right through me as if they don’t see me. I move through crowds and it is as if I am not even there – or they aren’t because I move through so easily. I feel like I am in a world that is one big hologram and nothing is really real, the people, things, nothing. I can hear them and see them, but there is no connection to them. I am not talking about that “dream feeling,” I get that sometimes too. I think everyone does. It is a dissociation and is often related to stress. This is different and I have felt it my entire life. My husband is very good to me. He tells me that I am the best thing that ever happened to him. He says I am better suited to him than anyone he has ever known – and he says that he believes it is at least in part due to the Asperger’s. He says that communication is never an issue between us because I always say exactly what is going on and what I am thinking and feeling. He never has to wonder like so many men do with their wives. He has gotten used to the candor, the complete honesty. He has also gotten used to the meltdowns and frustration I experience. He helps me deal with it and says it is worth it and he doesn’t mind dealing with it. He likes to help me. He likes that I put God first and have asked Him to kill the part of me that is of this world so that He can live in me and I can be like Him. He appreciates my commitment to God first, not church first or anything else. My priorities: God, CW, Family, everything and everyone else. So, I keep reading my Bible and learning what God wants from my life. I keep praying and keep communicating with God and listening to what He says to me. Because no matter how different I am, I always fit perfectly in God’s family.